Hey guess what... we tipped 5/8 again last Round! No this is not just a copy paste from last week... thanks to the Dogs, Storm and Raiders sucking deluxe - we raise the bat at a 5/8 yet again. And to prove that your Local Postman is a friend to all - it turns out I'd picked the Cowboys 2 weeks back before the rep round (and JT getting injured) on NRL.com (where I lodge my tips) then evidently failed to change my tip to the Dogs last week before kickoff... even though in the pages below I told you well... 'go the home team even with Reynolds out'... but given I'm all about being fair to all with my mail - I stand by my public Dogs pick in my season winning percentage ratio. Which funnily enough lands very close to a 5/8 success rate after 10 Rounds... (well 61.3% v 62.5%). 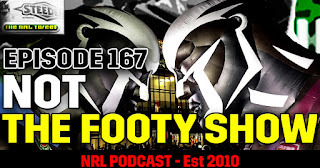 🚨 Another freshly squeezed Podcast for you to consume - Our Origin Teams Special NOT The Footy Show Episode 167 went up Monday. Inspired effort from North Queensland last week but I'll stick with Cronulla at home. 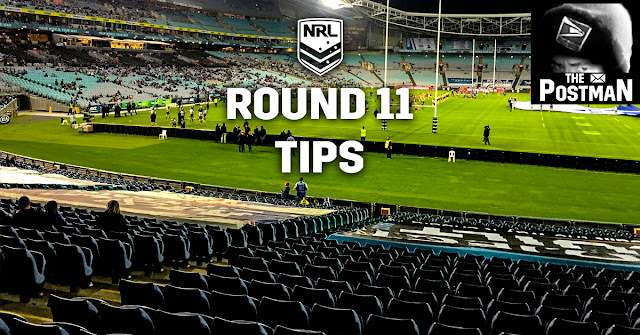 Forgive me now tipsters... you know I don't want to tip Saints without a genuine first grade spine... but having to tip the Warriors is at least somewhat digestible when they have Kieran Foran and are at home... right? Manly don't have Tom Trbojevic for like a month or two now and we both know he's gigantic to their attacking threat level... sure the Titans picked up another 5 injuries last week but as long as Hayne plays - I'm going with the Goldie Coasters. Corey Norman suits up for this one and you almost have to pick Parra given how poor Canberra have been the past few weeks... but Mitchell Moses is no Corey Norman kids. Go the Raiders. Penrith have to keep winning games they should win - this qualifies big time despite Newcastle breaking through last week at home v Canberra. Knowing the Bulldogs they'll find a way to stick with the Roosters for a while here... but if the Chooks play attacking footy - Canterbury won't start doing so themselves til they are 20 points behind. Melbourne please and thank you. There's my tips - got your own? Get your Footy Fix in 2017! 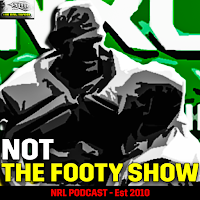 Subscribe to the NOT The Footy Show Podcast on iTunes so you don't miss any of our new Episodes.